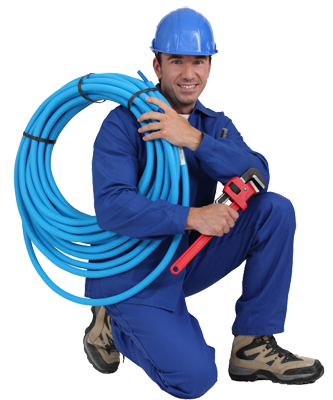 Your Trusted 24 Hour Plumbing Service Provider! Everything you need, right under one roof! If it’s new installations, repairs or maintenance, residential or commercial, it is a goal of everyone on our team to satisfy our clients every day in every way. Founded in 1995, we have over 20 years in business and have been fortunate to serve our customers! West Coast Water Heaters is a family owned business, we make sure each and every one of our customers are more than pleased with our team’s services. All of the plumbers in our network are pre-screened by us. Every technician employed by every company in our referral network is a licensed professional who has completed extensive coursework, including continuing training on the latest techniques and equipment. We also offer the strongest guarantees in writing and we are committed to ethical, honest, long-term relationships with every single client. All our professionals are background checked and verified to ensure your complete safety. To make sure your trust in us is a 100%, we provide insurance coverage across our services. The insurance period & amount varies from service to service. We ensure you know exactly what you are paying for ahead of time. Thanks to our upfront, flat-rate pricing model, you can rest assured knowing you’ll pay an affordable price for any service we perform. If you’re located in Los Angeles, San Fernando Valley, or Ventura County, our technicians are available 24/7! Here what some of our past customers have to say! West coast water heater repair can assist with your water heater and plumbing needs. Had a chance to meet agency owner and liked that do late night calls. So amazing needed our water heater fixed late at night and they came through for us. An amazing agency would use again ask for Ronald he is a huge help. They did an amazing job with our water unit, I was so happy with David when he came out and fixed our thermal, saved the day for us. Whether you live or virtually anywhere throughout the United State area, our technicians are available 24/7! West Coast Water Heaters provides residential and commercial HVAC, IAQ, and plumbing services in Los Angeles, San Fernando Valley and Ventura County, CA.